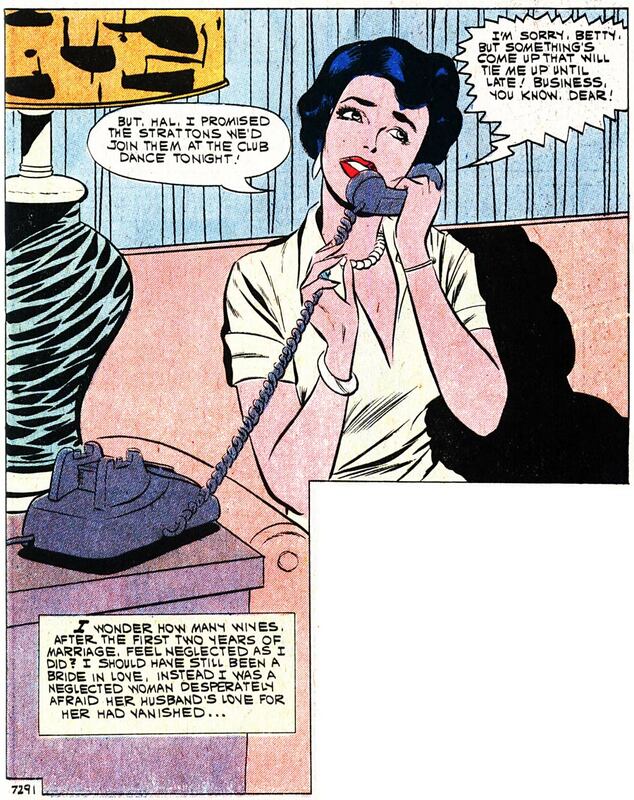 Art by Vince Colletta Studio in the story “A Bouquet of Roses” in FIRST KISS #20, 1961. It’s the lamp. Can’t come home to that! I quite agree! My wife once got bedside lamps that were full of glare points and (to quote Spike Milligan) when switched on actually made the room darker, I couldn’t sleep in the room until they were gone. They were hideous!